Princeton Association of New England - Next Book Club meeting March 25th! Welcome to the Princeton Association of New England - Next Book Club meeting March 25th! Next Book Club meeting March 25th! 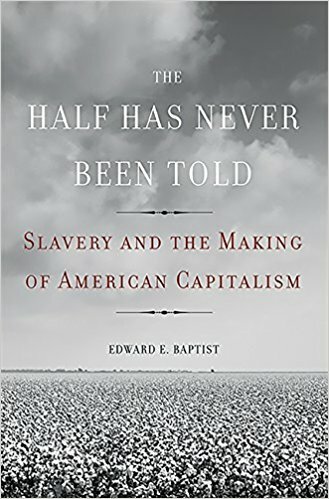 For our next book, we're reevaluating the roots of American capitalism with The Half Has Never Been Told - an account of how Slavery was the primary economic driver of America's ascendance to the world stage. Join us at John Harvard's to challenge long-held beliefs and think broadly about how local institutions can impact the entire world. Told through intimate slave narratives, plantation records, newspapers, and the words of politicians, entrepreneurs, and escaped slaves, The Half Has Never Been Told offers a radical new interpretation of American history. It forces readers to reckon with the violence at the root of American supremacy, but also with the survival and resistance that brought about slavery's end—and created a culture that sustains America's deepest dreams of freedom.